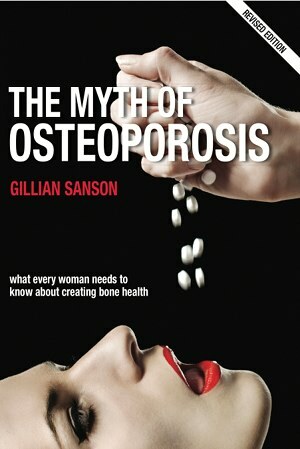 Read this reassuring article by Adriane Fugh-Berman – a rare voice of sanity in a world where osteoporosis is diagnosed and treated in hundreds of thousands of well women who do not (and in all likelihood won’t ever) suffer from the condition. Highly recommended. Alkaline balance in the body is very important for bone health but the processes of living, the modern diet and the metabolism of food can produce a great deal of acid in our systems. To maintain normal blood pH level, alkalizing minerals are withdrawn from bone as needed. The establishment of a mostly alkaline state in the body is necessary for bone health, immune strength and overall well-being. Read more about it at Dr Susan Brown’s website and try testing yourself to see whether you are acidic or not. It’s simply done with an early morning urine test. New vibration therapy a tool to build strong bones? The new device, using vibration therapy may help build bone mass in people with osteoporosis, children with cerebral palsy, and those hovering above Earth in zero gravity.